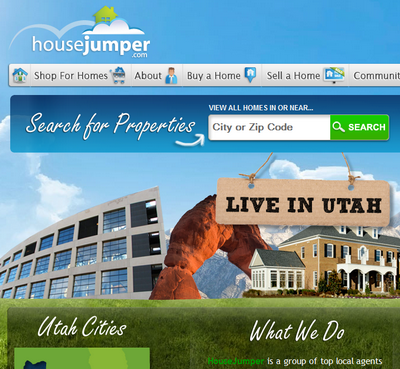 We are excited to launch our new real estate search website, saltlakecityforsale.com today! Find homes for sale in every city along the Wasatch Front and in Salt Lake, Davis, Utah, Summit and Tooele counties. There are some really great features such as the ability to search by map or list views, or by MLS number. The site is FAST! It loads fast and it’s updated every five minutes directly from the Multiple Listing Service (MLS) so it has a complete database of all listings. The details pages are awesome and have large photos (and all photos) or the homes that you can scroll through or use the gallery view, there is great neighborhood and area stats, and you can even get an instant home evaluation for your home! Of course, you can also save the homes you love the most and save searches and there is a cool back end that is integrated also. It’s pretty slick. Come over and check it out and let us know what you think. We love to hear feedback and get to know how people use technology and how they use the site. Typically, when I am working with buyer clients we begin by looking at a home or two or three. While walking through the properties I will ask them what they think of them and what they like or don’t like about them. I’m trying to get an idea of what they actually like. Not what they say they like or think they will like, but what they do like. The spaces they enjoy being in, the styles that appeal to them, the features of a property that make their eyes widen and causes them to talk a little faster because they are excited. After seeing just one or a few properties I will begin sending them properties to consider and they will send me properties they want to see. And typically my clients end up choosing the home they want to buy within 7-14 days from our initial meeting. This usually consists of seeing 5-15 properties. Sometimes people need to see a few more and sometimes they buy the first home they look at (as I have done myself more than once). It can be difficult to explain to some people that because it goes against their thinking, but it is completely true that looking at too many homes actually hurts them. There is such a thing as “too much of a good thing”. In his book, “The Paradox of Choice” Barry Schwartz discusses how excessive choice can make you question the decisions you make before you even make them, it can set you up for unrealistically high expectations, and it can make you blame yourself for any and all failures. In the long run, this can lead to decision-making paralysis, unhappiness and even clinical depression. And this theory applies directly to real estate buyers. I can be happy living in probably hundreds of different properties in the Salt Lake City area where I live. I currently live in a home that I truly love living in. It’s my favorite of all the neighborhoods I have lived in, I love our neighbors- most of them are very friendly and we have neighborhood barbecues and gatherings, the location is ideal, I love the swimming pool and the yard, I love the open floor plan with few walls and I enjoy the large master suite and the quality of finishes throughout. It’s a great property and it’s really great for us. But it doesn’t have everything I want. How could it? What I want changes all the time and some of the things I want can’t be combined. At least not in a price I can afford. I would love a view of the ocean and I’d love a view of a big, cool city like San Francisco. I’d love to have a big piece of land and privacy, but I’d also like to not have the upkeep of a big property and I like the idea of being close enough to shopping and restaurants that I can walk or bike to them like I did when I lived in Newport Beach. I love the beach house look and feel, with bright colors and white trim, but I also really love darker, warmer color schemes that feel cozy and masculine. I like dark hardwood floors but I don’t like trying to keep them clean (which is impossible with our puppy). There is not one perfect property out there for everyone. You aren’t looking for a soulmate. The reality is that you would most likely be happy living in several different homes. And if you don’t end up liking the house you are in, you can move. But sometimes people get so caught up in finding the “right” home that they suffer from numbness and the homes all start to run together and they cannot choose one to buy because they are determined for something to jump out and grab them and be so different or so much better that it’s the obvious choice. And this causes people to be unhappy and unfulfilled. They can’t find what they want because they want everything. Conversely, when clients don’t have as much choice because they are limited by the market (low inventory or homes are selling very fast) or by geography (wanting to live close to family or work or in a school boundaries) or other things, they are usually much more satisfied with the home buying process. They prioritize what they want, go out and look at everything available and they pick the best one. And they are happy because they know they got the one they liked the most and because they made a good investment (I make sure of that). 9 out of 10 times I meet a new home buyer they tell me they “aren’t in a hurry”, “have a lot of time to look” or “don’t want to rush it”. Or something along those lines. Almost everybody. They probably say that because they don’t want me to push them or rush them into a decision and I totally get that. I don’t like to be pushed. There is a difference between pushing someone and pulling them. I’m simply giving them the permission to make a decision quickly. I let them know it’s okay to like (and buy) the first house they see. Or the tenth home they see or the twentieth home. I tell them, “when we find a home in your price range that you love, you should buy it. Even if you think there may be another property out there that you would also love.” I’ve had many times when a client skips on a home because they want to keep looking and by the time they decide it was the best one, it’s gone. Sold to someone who made the decision quicker. I just had this happen to me last week. I showed a couple a beautiful townhome that I had listed. I let them know when I met them at the property that we were expecting an offer to come over later that evening so if they liked it they may want to make a decision quickly. Before even entering the property (as I was getting the key out of the keybox) the husband told me that he would definitely not be making any decisions that quickly. I asked if they even wanted to see the property after knowing an offer was coming in and they said yes they still wanted to see it. So we walk through it and they both loved it. Later that day I let them know that we did receive an offer, just so they knew. No response. The offer ended up being full price (typical in the current market). We accepted the offer and are now under contract. But the day after we accepted the offer the husband called me saying they decided that was their favorite property they saw and they wanted to make an offer. Too late… and since then I have taken them out and shown them about a dozen more properties but they keep comparing everything to my listing and they had emotionally moved into my listing so now they can’t find another one. Not because other properties aren’t as good, but because other properties aren’t my listing. Like if you fall in love with someone who is in love with someone else. Your heart is set so nobody else compares. When looking for a home give yourself permission to buy when you find what you want. Give yourself permission to decide and then be content with your decision, knowing full well that there are other properties out there. And that’s okay. Give yourself permission to be happy knowing that you found a great property and a great investment. And make start making memories that will make it your home. For years my real estate team has closed a lot of transactions from home buyers and sellers we met through our websites. And now, also owning a company that builds websites for real estate brokerages and now hosting over 13,000 real estate websites I’ve noticed that a lot of home buyers seem to have a real challenge filling out forms when they want an agent to contact them. 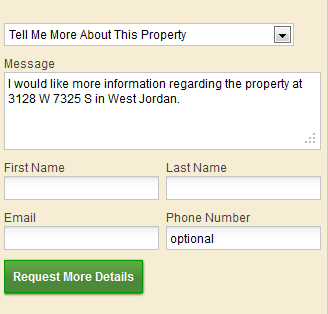 And you would think that would be the best response an online home buyer can get. It’s letting them choose whether they want to see the property or if they have anything they want to know about the property this is the perfect opportunity to say so. But the interesting thing is that usually the home buyers don’t respond when they receive this email reply, even when the reply is sent within seconds of the home buyer sending in the initial request. I try to put myself in the position of the online home buyer. I’m searching for properties on a website. I’m looking at dozens and dozens of homes, comparing the homes and locations and browsing the photos and reading the remarks. Then, I find one that I’m really interested in and I see the form on the side that lets me asks a question about the property or schedule a showing. I see there is pre-populated text saying, “I would like more information regarding this property” and I enter my name and my email address (which is always required) and click SEND without entering my phone number or any specific information. The agent responds to me within a minute or so asking if I would like to see this property that I’m so interested in or if I have any specific questions and…. and I just ignore it? What’s the point of that? I’ve just wasted everyone’s time and accomplished nothing. The agent wants to help and the buyer is clearly interested in the property so what is the problem here? Perhaps the forms should not have pre-populated text and instead require the buyer to enter some text? We all hate being forced to fill out anything so requiring another field doesn’t seem like a good idea. Maybe the forms should say something like, “If you are going to send in this form, please tell us when you want to see this property or let us know what information you want” or something similar? It’s an interesting challenge… any thoughts? things. However, there are a few tried and true factors to look for when selecting a technologically skilled agent. The first thing you should always check for is a website. If you hear of an agent from a referral and you can’t easily find his/her website, you should move along. Other home shoppers are going to click on one of the first websites they see, so if you’re agent isn’t showing up when you search, chances are other people won’t find them either. In addition to simply having a website, your realtor’s site should be easy to use and have a nice design. Your realtor should be connecting you with other buyers or sellers (depending on what side of the transaction you’re on.) So if their web design is scaring off other people your chances of finding a buyer or seller become much slimmer. Social media engagement is another key element of a tech savvy realtor. Granted, your agent doesn’t have to post, tweet, or like something daily. But simple interaction in the social sphere shows that your realtor knows how important online communication is to modern day buyers and sellers. After all, a good agent can utilize tools like Facebook or YouTube to further communicate their thoughts and ideas with a wider audience. arsenal, so make sure your realtor is well equipped. As you can see, finding a tech-savvy realtor is not terribly difficult- you just need to be aware of what you’re looking for. Simple adhere to these pointers and you’ll find the right tech-savvy realtor in no time. Good luck! Everyone is familiar with the cliché that the only thing that matters in real estate is location. As you browse through local real estate listings though, it may be difficult to consider what the practical application of that advice actually is. Put simply, when you purchase your home you are buying into the neighborhood it is located in. Consider these tips for making a successful move into a new neighborhood. Ask questions about any neighborhood that is home to your potential new housing. Is it on the way up? Are there good schools? Are there active neighborhood organizations? These are all very important questions that help determine exactly how a neighborhood functions and who chooses to live there. Thankfully, the answers are likely to be readily available online or in literature found around the neighborhood. It is important to remember not to be too quick to judgment. No two neighborhoods are exactly identical, so it is unlikely that you will be moving in somewhere that is entirely like your old one. Any new neighborhood you are moving into will have its own vibe and it is important to evaluate that honestly. a neighborhood and will help you fit in from day one. Researching any potential new home should also entail researching the neighborhood it is located in. Many neighborhoods keep detailed and up-to-date websites that catalog events and goings-on. You can also research the history of a particular neighborhood and possibly discover something that appeals to you. Ultimately it is crucial to realize that neighborhoods are constantly evolving and it is ok to try living in a place that is slightly outside of your comfort zone. Considering the neighborhood you are moving into simply means taking the blinders off and looking around you at your potential brand new neighbors. business development and technology efforts. company, using these social media profiles should be first used to build a local image. patrons will see the business throughout social media platforms, attracting new customers. on the go, looking for either information or directions. Development platform to really kick up their online profile. Blog networks are pretty common now, but the BlueRoof360 Blog Network is different in two main ways- first it’s widgetized, meaning you can put blogs anywhere you want on a website- on any page, and in any size, and put all the different components you would want to have (featured properties, blog search top posts, images, videos, text, etc) anywhere you want around it. So you can build pages of blog content and decide exactly how you want the page to look and feel. Even if you get a custom WordPress blog- you can’t change and edit it like in our system. With our patent-pending technology it’s all drag and drop. Want a video? Drag and drop it on the page where you want it. Want instant chat or featured properties or a weather report? Drop them where you want them. You don’t need to pay for, and wait for, a professional programmer to do the work- it’s easy and free in our system. The second way it’s different is the network. Everyone wants blog but many agents don’t want to have to write it all. With our network you can have blogs that write themselves- or rather automate themselves with articles by other bloggers, or by the professional writers we pay to write content for the network. And if you write a great blog post you can push it to the network and allow other agents to use it, and you get an inbound link from their website. 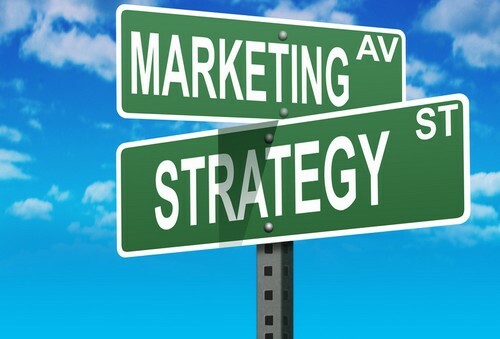 One agent gets the content and the other gets the inbound link- everyone wins! And of course, this is just one more new feature on our system and there is no extra fee for our clients to have this. They can build as many blogs and put them on as many pages as they want. It’s all part of the BlueRoof360 system… if you would like more information about our custom website system- just contact us at greg@blueroof.com.